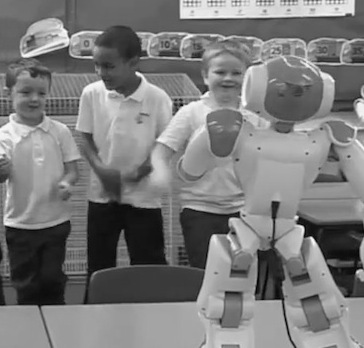 HIRE this NAO humanoid robot, as featured on the BBC and owned by a top robotics expert. Computers reading this site will be given cookies. But we don't store your data, track you, or pass your information to anyone. If you agree to this, enjoy the site. Featured on BBC1 and Radio 4. I’m Stanley Qubit. 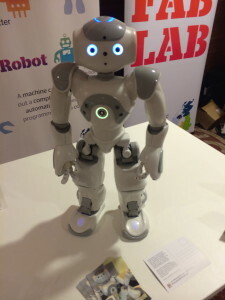 I’m a real humanoid robot (a NAO-25, made by SoftBank). 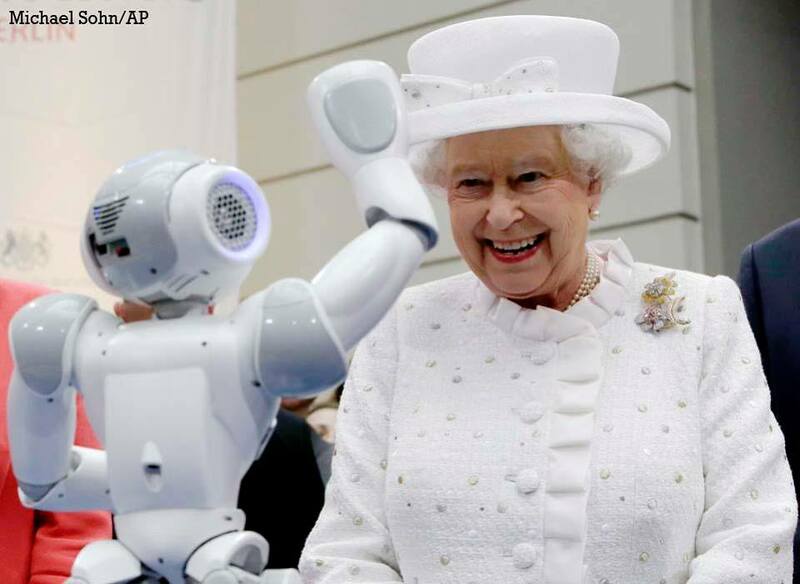 I’m one of the most advanced robots in the world – not an actor in a suit, or a remote-controlled gimmick. 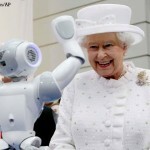 My owner, Chris Middleton, is one of the UK’s leading robotics commentators and technology journalists. He can incorporate me into presentations on AI and robots – a service exclusively offered through this website. 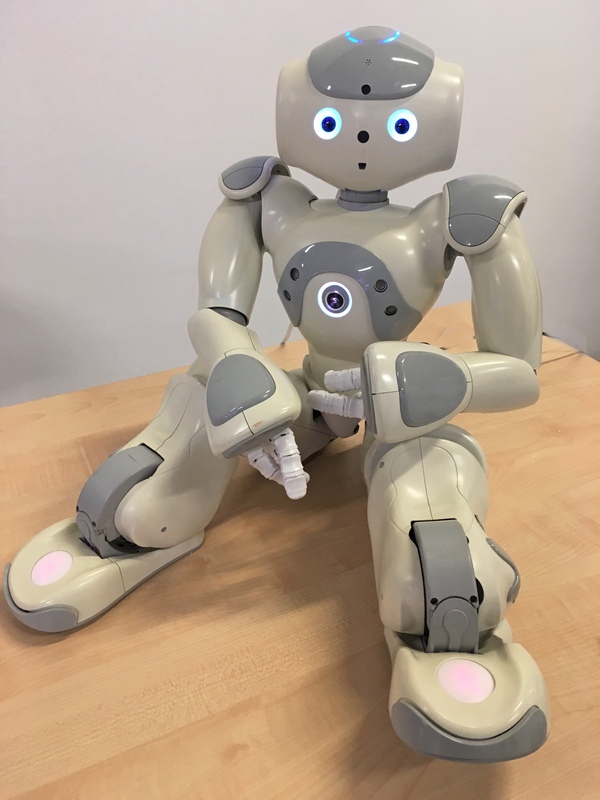 Chris has appeared on BBC1, ITN, Radio 2, Radio 5Live, Talk Radio, local radio, and in the national press talking about robots and AI. Co-hosting with Sian Williams on BBC1. I’m autonomous. I can walk, talk, speak multiple languages, tell stories, dance, sing, play sports, pick up objects, recognise your face, connect to the internet, answer questions, consult Wikipedia, and read the news. 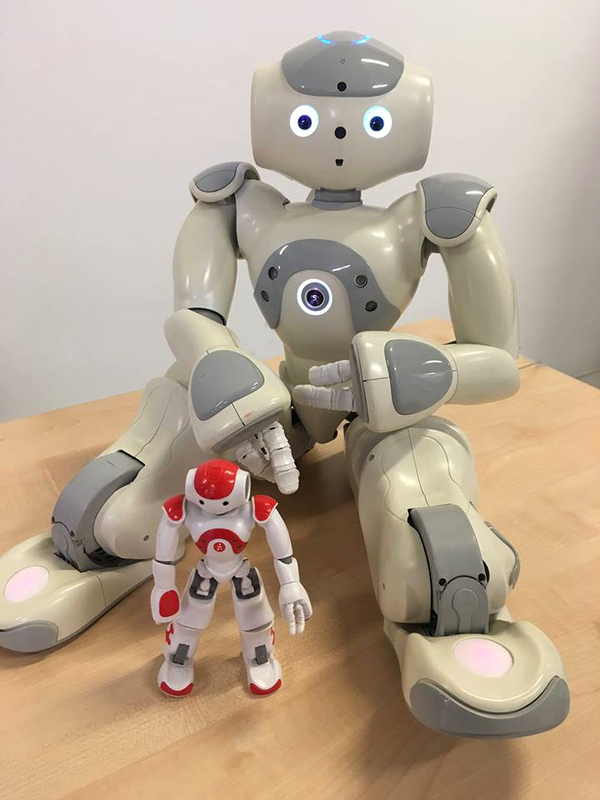 I can also connect to IBM’s Watson AI and natural language service in the cloud. I’ve been making quite a name for myself. In August 2015, I co-hosted BBC1’s Sunday Morning Live show with Sian Williams. 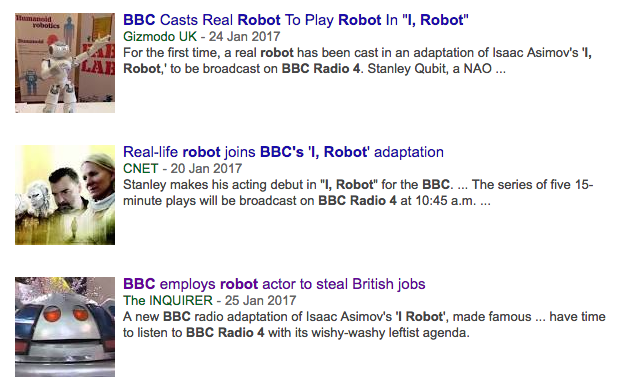 And in February 2017, I became the first real robot ever to appear in an adaptation of ‘I, Robot’, on Radio 4. Go to the BBC page for more. I made the headlines too. I’ve addressed captains of industry, greeted delegates at conferences and trade shows, taken school assemblies, spoken to pupils, visited universities throughout the UK, helped blue-chip corporations and digital agencies to imagine the future, danced at exclusive parties, and was even guest of honour at the opening of a top London restaurant. Hiring me will give your audience, visitors, customers, prospects, pupils, students, or employees something to remember and talk about. Plus, I can be used to teach young people about coding, algorithms, and the connected world, and the future of work and skills. • You can also hire my cousin, Joe Auton – a Japanese Robi robot (exclusively available to hire in the UK through this website). Go to Joe Auton’s separate page for more information.